California’s first Google Cloud Platform region is available for you to run your workloads and store data in Los Angeles. The Los Angeles cloud region is live. You can select us-west2 as your cloud region, enabling customers in Southern California and surrounding areas to use GCP services closer to home. The LA cloud region offers compute, storage, big data, security, and networking services — everything needed to build the next great application. Please refer to the Locations page for the complete list of supported products. Hosting applications in the LA cloud region can significantly improve latency for end users in Southern California, and by up to 80% across Northern California, compared to hosting them in the previously closest region. See our announcement blog post. The LA cloud region has 3 zones, allowing developers and network admins to distribute applications and storage across multiple zones to protect against service disruptions. 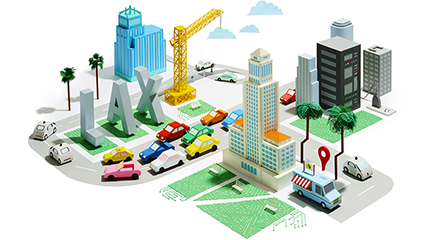 Google Cloud Partners in Los Angeles Are Available to Help Design and Support Your Deployment, Migration and Maintenance Needs. Customers With a Global Footprint Have Been Looking Forward to the Launch of the GCP Region in Los Angeles. "Los Angeles is a global hub for fashion, music, entertainment, aerospace, and more -- and technology is essential to strengthening our status as a center of invention and creativity. Bringing Google Cloud to L.A. puts the full power of 21st century innovation in the hands of small businesses and startups, giving entrepreneurs the tools to disrupt industries, pursue new ideas, and potentially redefine the way we work, communicate, and live." "A lot of our short form projects pop up unexpectedly, so having extra capacity in region can help us quickly capitalize on these opportunities. The extra speed the LA region gives us will help us free up our artists to do more creative work. We’re also expanding internationally, and hiring more artists abroad, and we’ve found that Google Cloud has the best combination of global reach, high performance and cost to help us achieve our ambitions." "Using Google Cloud for visual effects rendering enables our team to be fast, flexible and to work on multiple large projects simultaneously without fear of resource starvation. Cloud is at the heart of our IT strategy and Google provides us with the rendering power to create Oscar-winning graphics in post-production work."